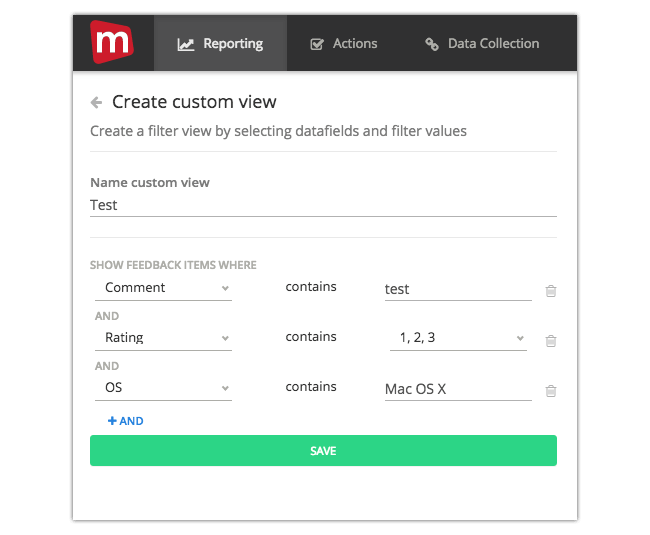 To kickoff the new year, Mopinion has just launched a new feature within its platform: customisable inbox filters and views. This new feature will give users total control of the views they create in their inbox of feedback items. It enables users to combine key data fields such as scores, browsers, texts, URLS and more – which provides for very specific views. Mopinion users have always been able to create their own charts and click through on these charts to apply filters to the inbox. Previously, from inside the inbox, users were restricted to the filters provided in the filter sidebar. However, with the new customisable inbox filters, users can now easily integrate their own filters using all data fields available in the report. This can be done straight from the filter sidebar. To create a filter, users can simply click on the pulldown in the sidebar and select data fields and values they wish to use. All changes in the sidebar will be applied instantly. Custom filters will be combined on selection which will allow users to search for – for example – items with rating lower than 7 or under the category ‘bug’. 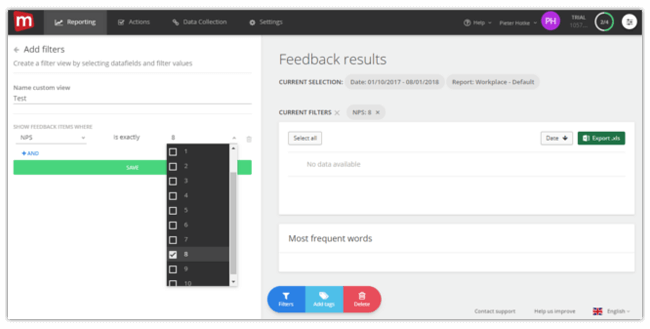 Custom filtering will allow users to quickly and easily drill down on feedback items containing specific values. Screenshot: Here you can select the different filters you wish to apply. Screenshot: You can choose from various data fields and select a particular value or range of values. Screenshot: Choose multiple filters at once.